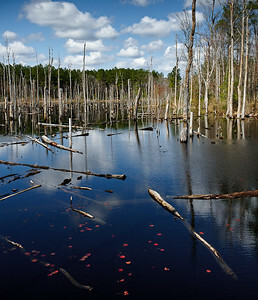 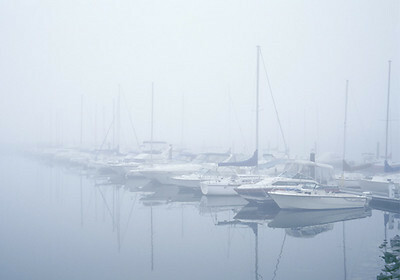 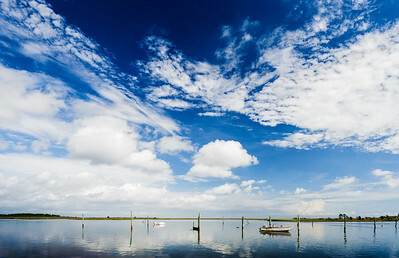 A dramatic blue sky with broken clouds is emphasized by reflections in the calm water as boats are moored in a waterway. 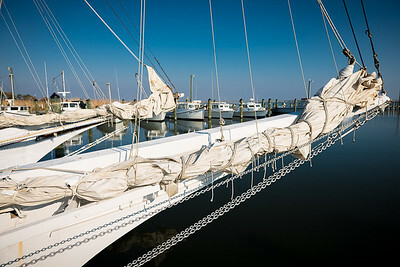 The furled convas sails on two skipjack oyster boats are framed by deadrise work boats in the background on a blue sky autumn day. 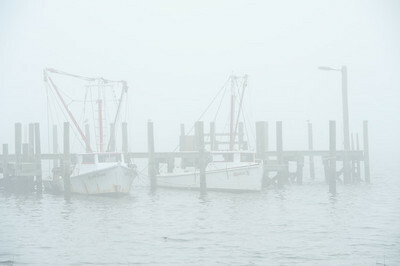 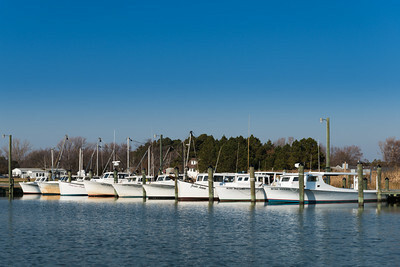 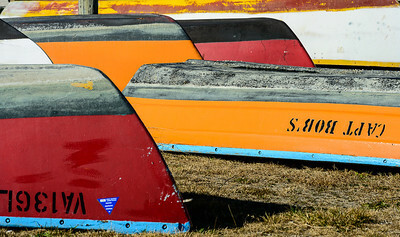 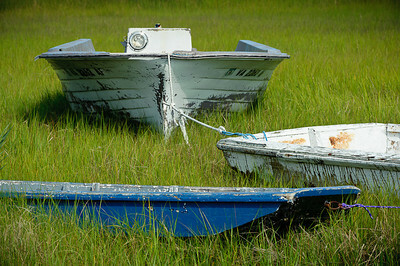 A line of deadrise fishing/crabbing boats are tied in a row on Deal Island Maryland. 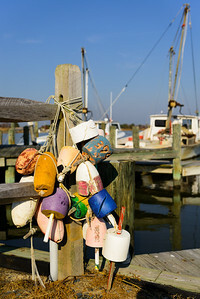 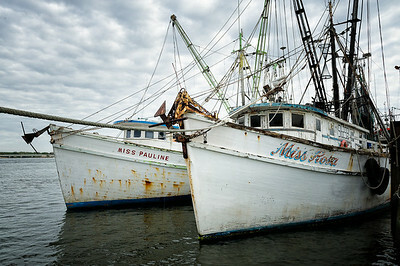 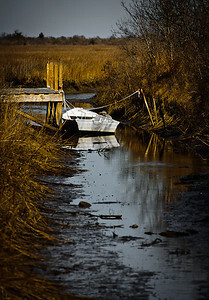 Two deadrise work boats sit tied at their dock with colorful floats from crabpots hang on a fence. 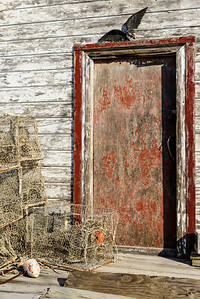 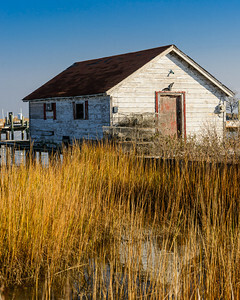 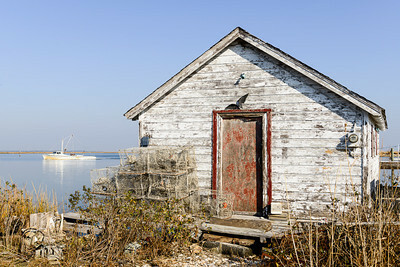 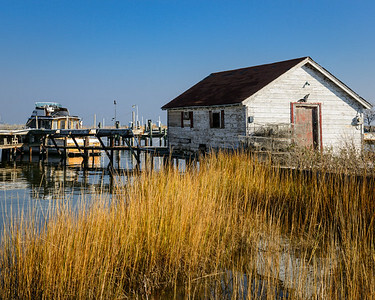 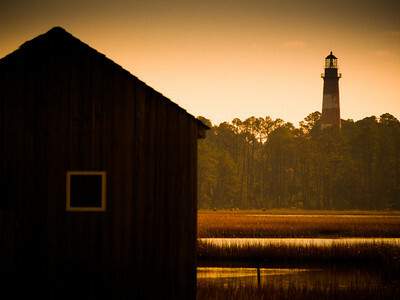 An old fishing shack sits in sillouette while the Assateague Island Lighthouse is in the background just before dusk in Chincoteague on Virginia's Eastern Shore. 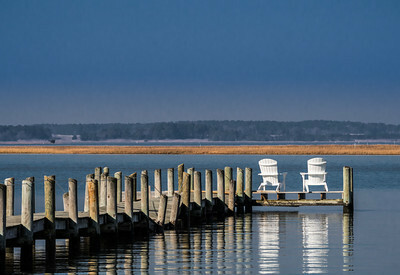 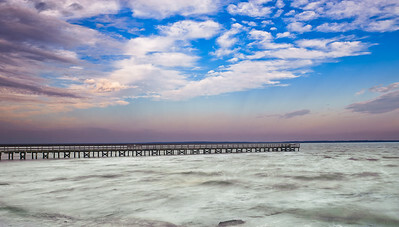 Two white lawn chairs sit atop a dock so occupants can gaze out over the sound in Chincoteague on Virginia's Eastern Shore. 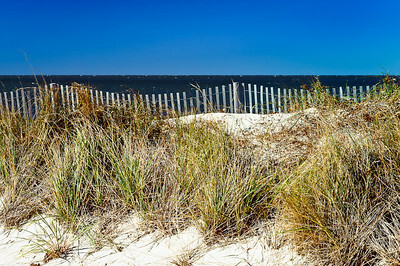 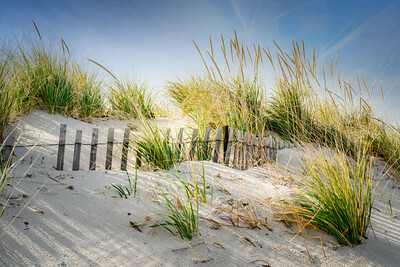 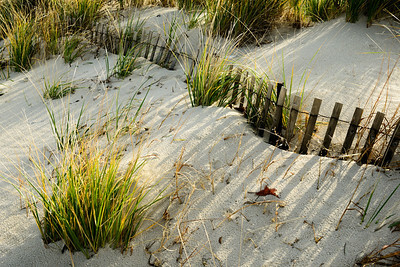 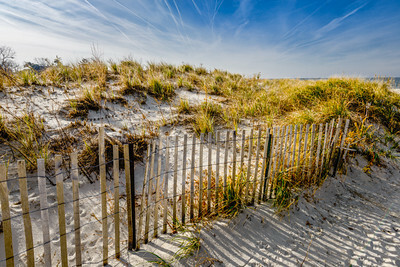 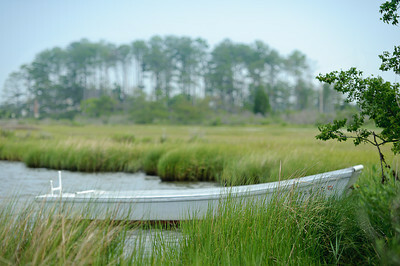 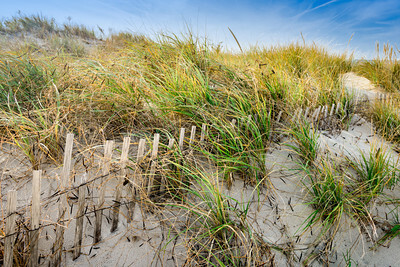 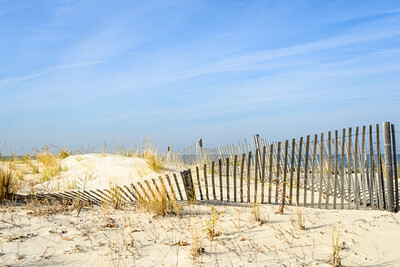 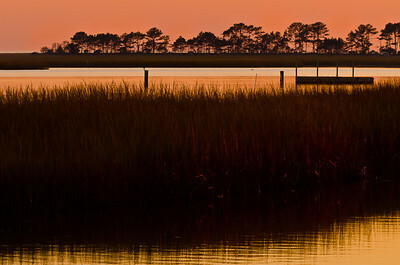 Sand dunes, wild sea grass and a wooden, slatted fence make a picturesque scene in Cape Charles on Virginia's Eastern Shore. 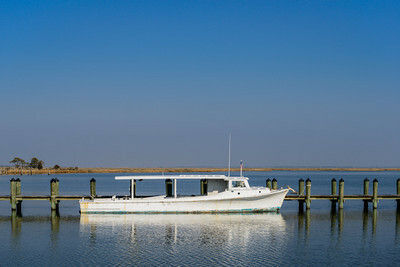 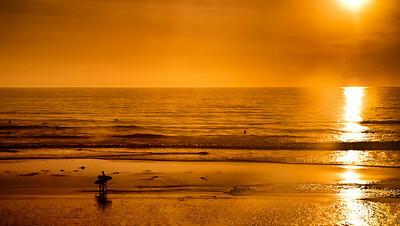 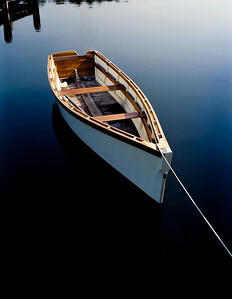 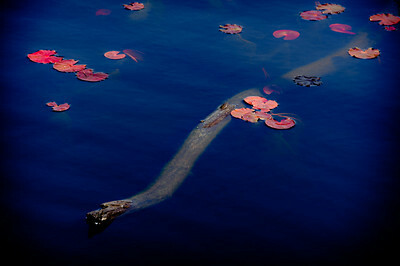 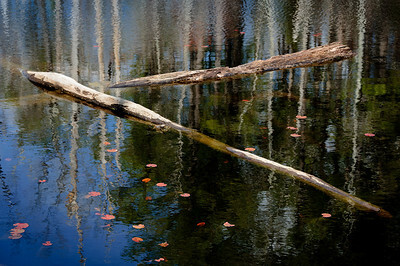 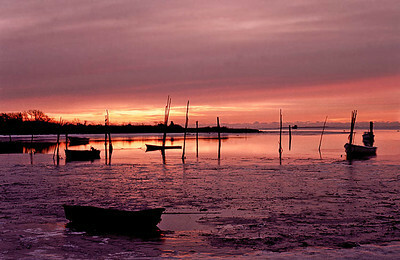 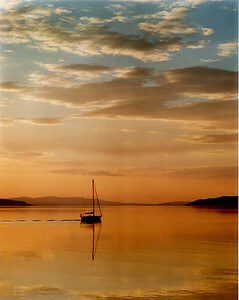 A rowboat is tied to a pier in the very early morning with the blue sky reflecting in the glassy water. 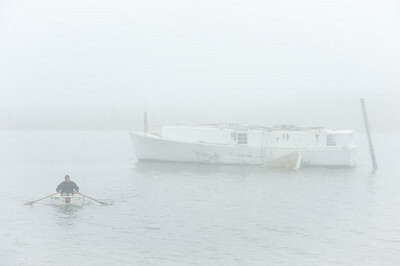 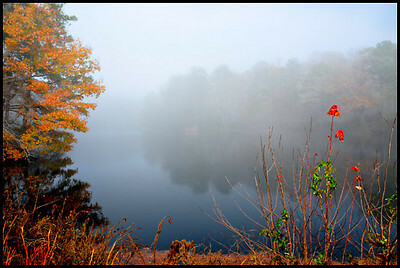 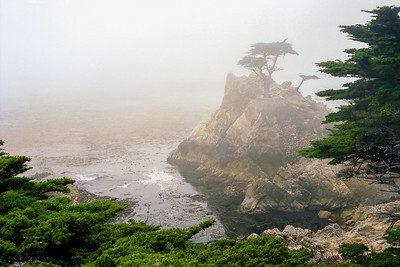 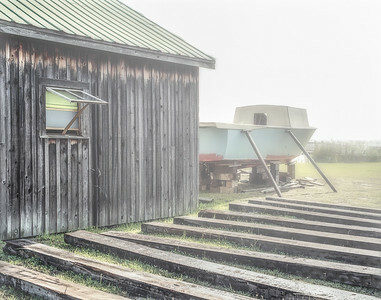 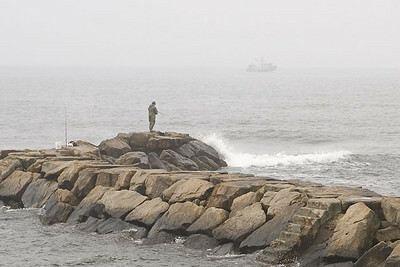 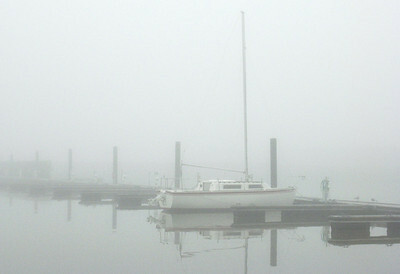 On a foggy morning a boat is undergoing repair atop homemade wooden blocks while sitting next to an old weathered wooden boathouse.